Gin Rummy is one of the most common card games in the world. The group of games titled Rummy consists of many variations and version (Example: Kalooki and Rummy 500) that share the general pattern of Traditional Rummy. Learn here rules, tips and strategies to be the best Gin Rummy player. The Gin Rummy game is designed for groups of 2-4 players, and the object of the game is to form valid melds and to have the lowest amount of penalty points when the game is over. A meld can be a sequence of consecutive cards from the same suit, or a set of similar valued cards from different suits. In any case a meld will have at least three cards. Melds can be formed in any turn. Each player draws a card (from the deck or discard pile) and discards an unnecessary card. Unlike traditional online rummy, the number of cards dealt to each player changes according to the number of players. Two players will play Gin Rummy with 10 cards, whereas 3-4 players will play with 7 cards. An additional difference in the Gin Rummy game is the way the game ends. Gin - a crushing victory by one of the players. The winner was able to create valid melds from every card in their hand except for the last card that is discarded at the end of the turn. In this case, players will be penalized according to their deadwood count plus 25 penalty points. Knock - one player forms valid melds from the majority of the cards in their hand where the deadwood count is ten at most. When a player knocks his or her opponents can add cards directly to the melds created by the Knocker. This may lead to victory by "undercut". Undercut - the player who didn't knock can lay down his or her melds. If that player's total deadwood count is lower than that of the player who knocked, he or she will win by undercut. The player who knocked will be penalized with 25 points in addition to his or her deadwood count. In a 2 player game every player is dealt ten cards. In a three to four player game each player is dealt seven cards. The remaining cards form the deck are placed face down, and one open card is used as the first card of the discard pile. The object of the game is to form as many melds from the cards in hand. A meld can be either a set or a run. Apart from forming melds, players must try to reduce their deadwood count, or in other words to minimize the values of the cards that do not belong to any meld. A turn in Gin Rummy is divided into two parts that make up a standard turn, except for the last turn of a hand/game. Drawing from the deck or the top card of the discard pile. Throwing a card to the discard pile. Gin - players lay down all the cards in their hand in valid melds, and throws the last card into the knock area. When a player Gins other players cannot add cards to that player's melds. Knock - a player lays down valid melds and has a deadwood count that's equal or lower than ten. In this move as well the player throws a card to the knock area. Undercut - when a player knocks his or her opponents can lay down their melds and also add cards to the knocker's melds (but only to that player's original melds). The person playing next added 6H, meaning that the player who plays third will not be able to add 5H. Through adding cards players can reduce their deadwood count, and therefore are rewarded for keeping the cards that the Knocker needed for his own melds. And two 4s. In this case the opponent can add his cards to the appropriate meld, thus lowering the number of penalty points from 24 to 4! Undercut - if one of the player knocks, and an opponent has a lower deadwood count, that opponent will win while the Knocker will be penalized by 25 points. If only 2 last cards are left in the deck, the discard pile is reshuffled and used as the new deck. Ginning Sum of deadwoods + 25 penalty points. Knocking Sum of deadwoods minus knockers deadwoods. Undercut Sum of deadwoods minus undercutter's deadwoods. Knocker receives 25 extra penalty points. GIN RUMMY STRATEGIES AND TIPSThe Rummy games family contains a variety of games which are all based on the players' skills and strategic abilities. Gin Rummy is one of the more dominant and well known games in the family. In order to play Gin Rummy well and learn how to win, there are several rules that should be taken into account, and also strategic principles that, if adopted, will allow every player to improve his performance. Stay alert - Gin Rummy is a fast and dynamic game. As such, the momentum may shift between players in almost every turn. A player who stays focused for a long time will probably have a better chance of analyzing his or her opponent's status, will not wait for cards that were already thrown to the discard pile and will know when to get rid of high cards and more. The discard pile - every turn players discard cards that they do not need into the discard pile. A player who tracks the cards thrown away will have two advantages. First, he or she will know what cards already left the game. Second, the player will have a clue as to what cards his or her opponents do not need. Draw - Gin Rummy is played with only one deck of cards. Therefore it is important to remember the cards that were thrown away and to use opportunities for drawing cards that complete existing melds. One tip for the beginning of the game is that we recommend to draw from the deck in order to prevent one's opponents from knowing which cards he or she needs. Throwing - at the end of every turn, players throw a card to the discard pile. Usually the card that's the least useful will be thrown, but since throwing cards provides information to competitors on the cards a player has in his or her hand, it is recommend to put some thought into what you throw. The further you are in the game, the higher the cards you should throw, this in order to reduce the potential deadwood count. If the player acting next in line picked up a card from a certain suit - we will not throw a consecutive card from the same suit in order to avoid helping our opponent to complete a meld, and also to allow us to add the card in case the opponent knocks. A player who considers "knocking" would best do this at an early stage of the game in order to reduce the risk of getting caught with an undercut if their opponent wins the game - which will result in 25 additional penalty points. These were several Gin Rummy strategy tips that work in every Gin Rummy game, and may give you a significant advantage over your opponents towards winning the game. The more you play Gin Rummy online, the more tips and strategies you will be able to find. Use any and all of our Gin Rummy Strategy tips and you will become a top player in no time. Virtual Horses, Blackjack, X-Factor and much more. 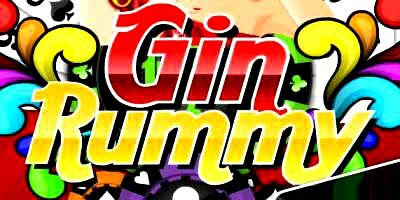 "Gin Rummy: rules, tips, strategies and best sites where to play"